Teacher Eligibility Test-II (TET-II)-2017Related Latest Paripatra Declared. ALL EXAM MOST IMP ENGLISH GRAMMAR PART 18 ''MODAL AUXILARIES"
PORBANDAR:- 10 THI OCCHI SANKHYA VALI 10 PRIMARY SCHOOL BANDH KARVAMA AAVI:- LATEST PARIPATRA WITH LIST. HTAT Promotion Related latest Notification 2017. DEVBHOOMI DWARKA:- KHEL-MAHAKUMBH ONLINE ENTRY ANE MA NARMADA MAHOTSAV MA BHAG LEVA BABAT LATEST. GPSC PI BHARTI PRELIMINARY EXAM DATE CHANGED..Police Inspector (Unarmed), Class-2 for Change in Preliminary Exam Date. 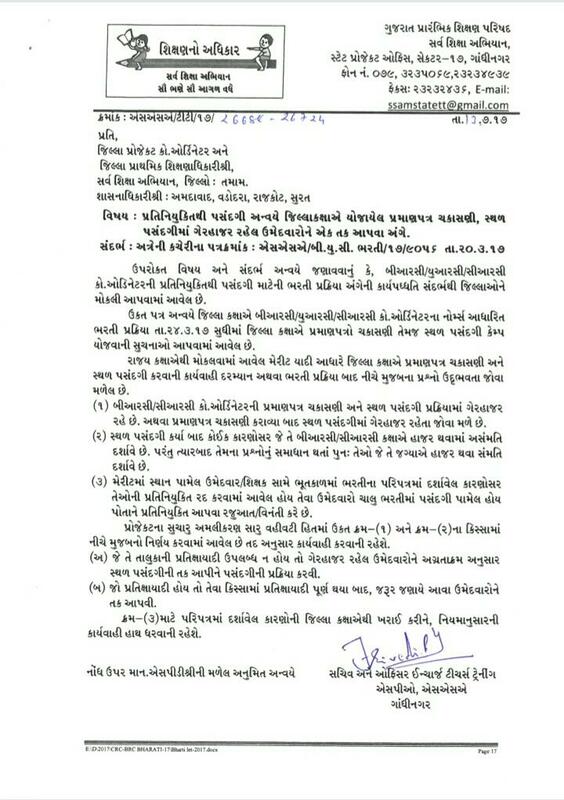 LOWER PRIMARY VIDHYASAHAYAK BHARTI NOTIFICATION 20 JULY NA ROJ AAVSHE. KUTCH NI PARTHMIK SHALA O MA TOTAL 1721 SHIXAKO NI BHARTI KARVA MANJURI. NAVSARI:- CHALU NOKRI A B.SC KAREL SIXAKO NA VIKALP RAD KARI MUL SHALA MA PARAT KARVA BABAT LATEST PARIPATRA. OFFICIAL PRESS NOTE :- GRANTED SECONDARY ANE HIGHER SECONDARY SCHOOL NA KARMCHARIO NE SATMA PAGAR PANCH NO LABH AAPVA BABAT. GOOD NEWS:- GRANTED SECONDARY ANE HIGHER SECONDARY SCHOOL NA KARMCHARIO NE SATMA PAGAR PANCH LABH AAPYO. VALSAD :- OCHHI SANKHYA VALI PRIMARY SCHOOL MERGE KARVA BABAT JILLA SIXAN SAMITI NO THARAV. Science & technology Std-6 Sem-1 Audio MP3 Study Material download :- Vary Vary Imp For Tet-2 Part-1 By Aapanu Gujarat & Ojas Jobs. VIDHYASHAKTI CURRENT AFFAIRS E- MAGAZINE ANK 33 DOWNLOAD NOW. 40 MOST IMP GST RELATED QUESTION-ANSWERS YOUTUBE VIDEO BY EDUSAFAR.MUST WATCH. Applications are invited for the position of Principals / Professors / Associate Professors to the Self Financed Institutions of Charutar Vidya Mandal. B.L.O. NA MARGDARASHAN MATE LATEST MAHITI PUSTIKA VARSH 2017 DECLARED. GOOD NEWS :- RAJYA MA 30 NAVI GOVERNMENT SECONDARY SCHOOL START KARAVA BABAT LATEST PARIPTRA ANE SCHOOL LIST. 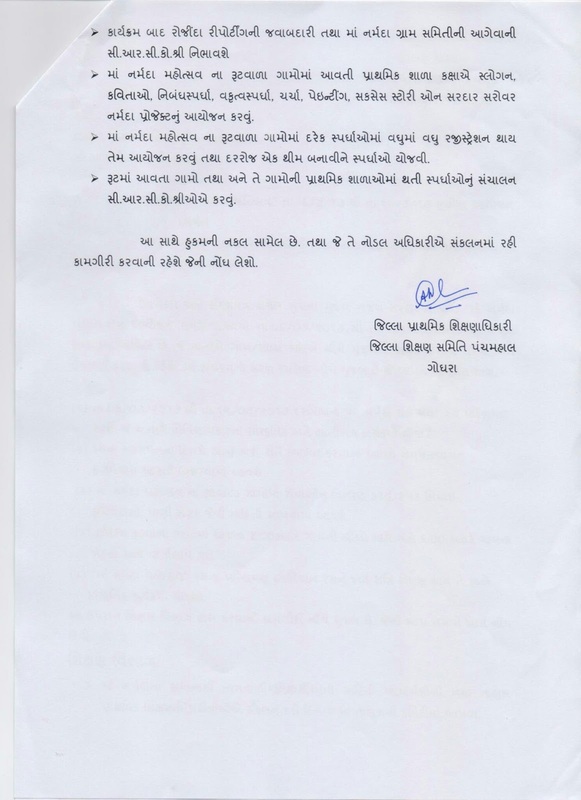 Vidhyasahayak Bharati GSEB (Std 6 to 8) (Gujarati Medium) Waiting Round Call Letter Declared. (Std 6 to 8) (Gujarati Medium) Waiting Round Call Letter Declared. 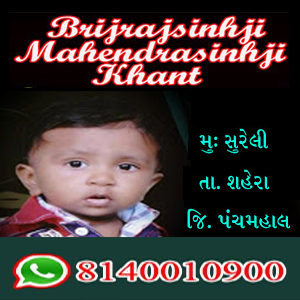 RAJKOT:- CRC PASE THI WHATSAPP GROUP MA MANGVAMA AAVELI MAHITI MANY GANVA BABAT DPEO NO PARIPATRA. RASHTRIY SHAIKSHIK MAHASANGH DWARA SIXAKO NA VIVIDH PADTAR PRASHNO BABTE SIXANMANTRI NE RAJUAAT. MUST READ.